Ever had to rush back to the shop to buy a forgotten bunch of herbs when you only need one sprig? 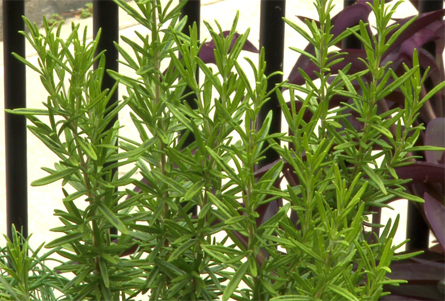 Fresh herbs on hand are the convenient, economical and green solution. 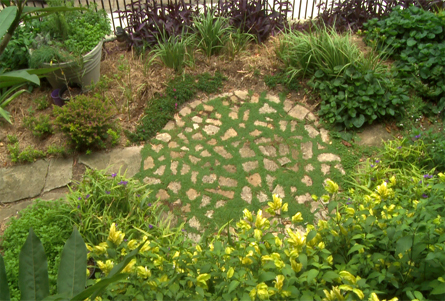 Herbs can be used in a garden design for anything from a hedge wall of bay to a lawn-substitute groundcover of thyme. But when it comes to kitchen use, the choice is mostly about which herbs you use the most. Whether they're collected in a dedicated herb garden or dotted around the garden - whatever your choice of herbs - most will do best in sunny and frost-free conditions with good drainage. It's more water-efficient and better for plant health to group herbs - and other plants - that have similar watering needs. Lemongrass, mint and elderberry like to be constantly moist, especially in summer. More Mediterranean-style herbs like sage, rosemary and thyme like to stay dry in winter, drink in summer but never to be over-watered. In humid climates they benefit from the extra drainage and air circulation of being in a container. The invasiveness of mint can be contained by keeping it in a pot or planter box too - and it's a good way to keep herbs in even the smallest gardens. Save on watering by moving pots out of the hottest sun on scorching summer afternoons. Other herbs like basil, coriander and parsley are only useful for one season - so don't blame yourself when they die. Treat them like vegetables: give them rich soil and plenty of water; then plant a new crop each year. 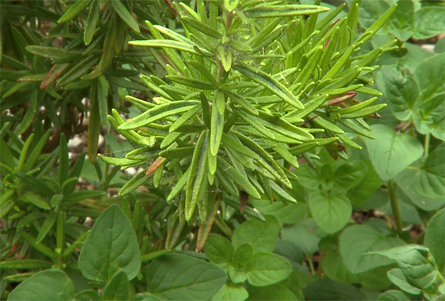 Many herbs can be trained to be bushy by tip pruning them as soon as they're planted. Frequent light harvests will keep them compact but never strip one plant of all its leaves unless it's the last harvest. Most pests can be controlled by picking them off as soon as you notice any damage. 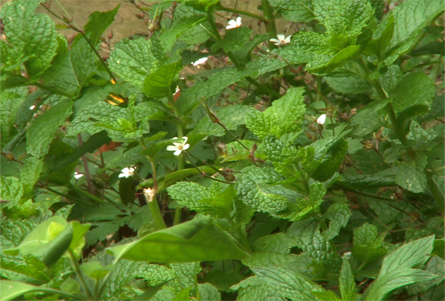 Keep an eye out for the many bugs that will find your herbs as attractive as you do. Soft-wooded perennials mature quickly and reach a predictable height so they can be confidently positioned where they wont need pruning.